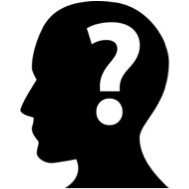 CBCA Tasmania blog: What’s Going on in Your Mind When You Read a Story? What’s Going on in Your Mind When You Read a Story? This week, Amanda considers her personal reading strategy of visualisation – to picture and imagine the story's events – and her discovery that this is not a natural occurrence for many students. Read on to discover how visualisation contributes to understanding and engagement with the text? For many years as a primary school teacher, a considerable amount of my time has been spent teaching children to read, and encouraging them to love stories. As an avid reader of children’s literature, this continues to bring me great joy. However, sometimes I face the interesting challenge of children who do not automatically warm to having a story read to them and don’t seem to care about the characters. There is nothing significantly different about these children, like most children they are usually well behaved, love talking, have great ideas, and work hard. They just struggle to sit for any period of time to listen to a story. So, maybe I haven’t read them the right types of stories? I ask myself each year. But after reading Harry Potter, and books by Emily Rodda, Carole Wilkinson, David Walliams, Jackie French, John Marsden, Roald Dahl etc., I realised that there is nothing wrong with the stories, they are all wonderful. Most of the children in the class enjoyed them, and went on to read further stories by these authors independently. In discussion with a group of colleagues about this problem, the idea was proposed that maybe they can’t ‘visualise’ the story as it is being read. I was flabbergasted- really? Surely everybody is able to see the story unfolding in their mind like a picture or movie? ‘Visualising’ is also one of the first reading strategies that we introduce. So, after the discussion, I was keen to find out, so I approached my class of grade five/six students. 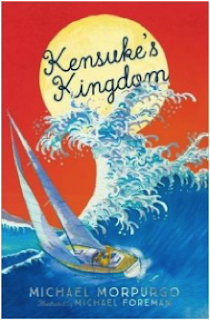 We had been reading ‘Kensuke’s Kingdom’ by Michael Morpurgo, a wonderful survival story about a boy falling from his parents’ yacht in the middle of the night into the Pacific Ocean. After a little thought and discussion, only three quarters of the students said ‘yes,’ they did ‘see’ the story in pictures or ‘like a movie’. Interestingly, most of the students who did not ‘visualise’ were the students who seemed to find it difficult to sit still and focus while the story was being read. When I asked my daughter, age seven, what she did when she was listening to a story, she told me that she didn’t just visualise, she pretended she was the characters as well. She felt like she was in the story all of the time and she wasn’t just one character, she was all of them – whenever it was their ‘turn’ in the book. Being able to identify with characters at a deeper level, to empathise has recently been heralded as one of the many benefits of children engaging in reading experiences as it allows children to experience and become more sensitive to the feelings of different characters, the difficulties they face and the thought processes and strategies they use to navigate themselves through the challenges. (McKearney, M. & Mears, S. 2015). So, now to the challenge of encouraging greater visualisation and empathy. As I embark on a new year of reading stories to my Year 2/3/4/ class, I will be exploring ways to expand my repertoire of teaching strategies and conversations that encourage all students to ‘visualise’ the story and ‘empathise’ with the characters. Encouraging them to draw or create scenes from the story, plus some role play, might be a good place to start. Anything that will provide children with opportunities to understand and engage with stories on a deeper level is worth a try. Amanda O’SheaTeacher, reader, children’s Author. McKearney, M. & Mears, S. 2015, May 13). Lost for words? How reading can teach children empathy [Blog post]. In The Guardian.